I have to share a story with you that happened this week with one of my kiddos and Daily Five. This is my third year implementing D5 and I LOVE it! It works fabulously when it's all up and running. Right now, since we just finished the second week of school, we are still building stamina. We worked on Read to Self and Read to Someone a lot this week. The kiddos got to shop for their own books yesterday and they really loved that! It was so quiet during Read to Self you could have heard a pin drop....with 26 first graders in the room. 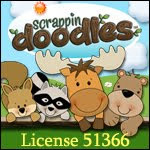 I have a kiddo this year that has some real needs which require the help of an aide. Well on Thursday during Read to Someone I asked this kiddo (we'll call him Jimmy) to read with another kiddo. Jimmy doesn't like change or uncomfortable situations so he didn't want to. He aide is wonderful and she stepped in and helped mediate the shared reading. The little girl that read with him was great about it all. Then, yesterday I told the kiddos to get their D5 bags and we went over their job during Read to Someone and then I told them to choose a partner and read. Jimmy got up ALL ON HIS OWN and found the little girl he had read with the day before, asked her to be his partner, and sat down and read for 15 minutes straight making NO noises, throwing NO tantrums, with NO arguing. They were truly reading together. Knowing this little boy and his needs and how he had become comfortable enough to do that on his own completely touched my heart. His aide and I were just shocked that he did it on his own. I was so proud of him I was bursting. Of course, I had to share this with my principal who knows this little boy very well. To top that off, at the end of the day he actually RAISED HIS HAND AND VOLUNTEERED to help another student with an end of the day job. That was another shocker!! Needless to say, yesterday was a GREAT day in Mrs. Seymour's class. I was so happy for Jimmy. I think he's going to have a great year! And, I HIGHLY recommend D5 to everyone. It's a great framework for your kiddos to be able to move and feel comfortable, while you can differentiate instruction in your small groups. I have a little girl reading above a first grade level so this year I am going to challenge her through small group. If I don't, she's going to be bored all year and that would be a waste of time! I just had to share my D5 story with other teachers. We all have difficult students in our rooms and when they do well and make good choices it is the biggest blessing! 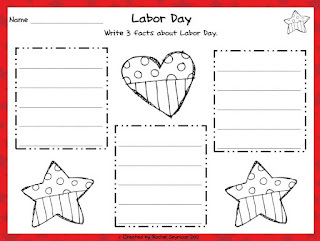 For reading my LONG story, I am going to share a Labor Day freebie with you! 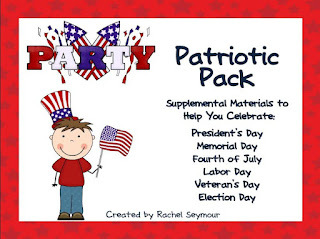 I revamped my Patriotic Pack and added a lot more pages. It went from 16 to 45! You can use these supplemental materials for Labor Day, Veteran's Day, Election Day (with a ballot to vote with), President's Day, Memorial Day, and July 4th. There are also other patriotic pages that can be used anytime throughout the year! Love your sweet story! You must be so happy to see your little one feeling so comfortable in the room!